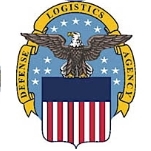 The Defense Logistics Agency (DLA) is the largest agency within the Department of Defense (DoD). Headquartered at Fort Belvoir, Virginia, it is represented in 28 countries and 48 states within the U.S. It provides support as well as technical and logistic services to the Army, Air Force, Navy, Marine Corps and several federal agencies. It has supported every U.S. military operation, from the Vietnam War to Operation Enduring Freedom. The DLA supplies almost every consumable item that America’s military services need to operate, from food and clothing to equipment and jet fuel. It manages five million items in nine supply chains, and oversees 26 worldwide distribution depots. In FY 2011, it provided $46.1 billion in sales and revenue, including $2.4 billion in foreign military sales in support of 110 U.S. allies. On August 31, 1961, Defense Secretary Robert S. McNamara convened a committee to study the consolidation of supply management for the military services. On October 1, 1961, a separate common supply and service agency, the Defense Supply Agency (DSA), was established. Its headquarters were set up at Cameron Station in Alexandria, Virginia. When DSA first began operations on January 1, 1962, it controlled six commodity-type and two service-type single managers, from medical supplies, textiles and traffic management service to supplies for automotive, construction, and petroleum. Having these functions consolidated under the DSA was estimated to save more than $30 million each year and reduce the workforce by 3,300 people. By July 1, 1962, the DSA consisted of 11 field organizations, employed 16,500 people, and managed 45 facilities. By June 1963 the agency was managing over one million different items in nine supply centers and had an estimated inventory of $2.5 billion. Between 1965 and 1973, DSA’s responsibilities grew to include defense property stored overseas, disposal operations and worldwide procurement, management, and distribution of coal and bulk petroleum products. An example of the agency’s overseas task occurred during the Middle East crisis in October 1973, when it had to deliver a wide range of military equipment on an urgent basis. The DSA’s supply system played a huge role in supporting U.S. forces in Vietnam. Between 1965 and 1969 more than 22 million short tons of dry cargo and more than 14 million short tons of bulk petroleum were transported to Vietnam. The agency also became responsible for administering defense contracts that it awarded, as well as those awarded by the military services. Officials established the Defense Contract Administration Services (DCAS) within the DSA, significantly altering its structure. By 1975 the DSA had evolved from an agency solely dedicated to supply operations and administering single manager supply agencies to one almost evenly divided between supply support and logistics services. The 11 DCAS regions were reduced to nine, and the DSA took on a dominant role in logistics functions throughout the Defense Department. On January 1, 1977, officials changed the name of the Defense Supply Agency to the Defense Logistics Agency. In 1988 the agency adopted a new mission, by presidential order, when it assumed management of the nation’s stockpile of strategic materials from the General Services Administration. In 1989, the military services were directed to transfer one million consumable items to DLA for management. During the 1990s the agency’s role in supporting military contingencies and humanitarian assistance operations grew dramatically. During Desert Shield and Desert Storm, DLA provided the military services with over $3 billion worth of food, clothing, textiles, medical supplies, and weapons system repair parts in response to over two million requisitions. As a part of Operation Provide Comfort, the DLA continued support efforts in the Middle East long after most U.S. forces had redeployed, providing over $68 million of food, clothing, and medical supplies designed to aid refugees, mostly Kurds, in Iraq. The Base Realignment and Closure (BRAC) process significantly affected the way the agency organized for its contract administration and supply distribution missions. As a result of BRAC 1993 (pdf), officials merged, realigned, or closed several DLA primary-level field activities. In October 1994, the DLA deployed an initial element to support operations in Haiti. In December 1995, the first element of a DLA Contingency Support Team deployed to Hungary to coordinate the delivery of needed agency supplies and services to U.S. military units deployed in Bosnia and other NATO forces. In February 2000 the Defense Logistics Agency announced a reorganization that was part of a larger plan to prepare itself to provide essential military logistics support for troops involved in current conflicts. Its new DLA 21 initiative raised the level of military logistics by aligning capabilities around the customers’ environments. That same year, military supply depot warehouses that had been in use since 1918—part of DLA Land and Marine’s Defense Supply Center Columbus—were demolished. The 2005 Defense Base Closure and Realignment (BRAC) Commission kicked off an ongoing expansion process for the Center, which has positively impacted procurement activity. The Center is currently host to 26 tenant organizations on the 530-acre site, while DLA Land and Maritime supplies the armed forces with $3 billion worth of materiel annually. In 2001, the DLA headquarters was renamed the McNamara Headquarters Complex in honor of its first director, U.S. Army Lt. (Ret.) Gen. Andrew T. McNamara. In 2007, the DLA expanded its operations to 48 states (all but Vermont and Iowa) and 28 countries, and in 2009 it upgraded its logistics systems. In 2010, the “We Are DLA” plan was instituted to create a single-agency approach, regardless of location or mission. It resulted in the renaming of its field activities, incorporating the “DLA” acronym into their titles. For many years, DLA has provided emergency supplies and personnel in the wake of natural disasters around the globe, including the 2004 Indian Ocean tsunami, the 2005 Pakistan earthquake, the 2007 California wildfires, the 2010 Haiti earthquake, the 2011 Japan quake and tsunami, and hurricanes Rita, Katrina, Gustav, Ike, Andrew, Marilyn (pdf) and, in 2012, Hurricane Sandy. The Defense Supply Agency (DSA) supports the warfighter in time of war and peace by procuring, managing, storing and distributing 5.2 million items for U.S. military customers, other federal agencies and allied forces. These tasks are accomplished by utilizing support from DLA’s supply centers, distribution center and service centers. DLA Land and Maritime, Columbus, Ohio - Maritime and land weapons system supply chains. DLA Aviation, Richmond, Virginia - Aviation supply chain. DLA Troop Support, Philadelphia, Pennsylvania - Subsistence, clothing, textiles, medical, construction, and equipment supply chains. DLA Energy, Fort Belvoir, Virginia - Fuel, energy support and services, and bulk petroleum. DLA Distribution, New Cumberland, Pennsylvania - Worldwide network of 25 distribution depots and nine map support offices. DLA Disposition Services, Battle Creek, Michigan - Reutilization, transfer, demilitarization, and environmental disposal and reuse. DLA Strategic Materials, Fort Belvoir, Virginia - Manages the strategic and critical raw material stockpile that supports national defense needs. DLA Logistics Information Service, Battle Creek, Michigan - Manages a wide range of logistics information and identification systems. DLA Document Services, Mechanicsburg, Pennsylvania. - Automated document production, printing services, digital conversion and document storage. DLA Transaction Services, Wright-Patterson AFB, Ohio - Editing/routing of logistics transactions, network interoperability and eBusiness services. DLA Europe & Africa, Kaiserslautern, Germany - Focal point for U.S. European and U.S. Africa Command's theater of operations. DLA Pacific, Camp Smith, Hawaii - Focal point for U.S. Pacific Command's theater of operations. DLA Central, MacDill AFB, Florida - Focal point for U.S. Central Command's theater of operations. In October 2007, when wild fires swept through Southern California, the DLA aided the thousands of evacuees and the marines and sailors supporting the wildfire relief efforts. The DLA supplied the Federal Emergency Management Agency (FEMA) with meals-ready-to-eat and supplies that were needed to help evacuees and fight the fires. During the holiday season of 2007, the DLA provided U.S. troops stationed in Iraq, Afghanistan, Bahrain, Dubai, and Djibouti with holiday meals. Thanksgiving meal items totaled to more than $7 million and Christmas meal items came to $5 million. The DLA supplies $12.4 billion worth of food, clothing, textiles, medicines, medical supplies, construction and equipment supplies and services for America’s warfighters, eligible family members, and other federal consumers worldwide. The agency provided a total of $46.1 billion in sales and revenue in FY 2011. The Defense Logistics Agency (DLA) spent more than $602 million on 2,800 contractor transactions between FY 2002 and FY 2012, according to USASpending.gov. The top five services or products purchased by DLA were logistics support ($376,015,724), tents and tarpaulins ($33,991,530), composite food packages ($25,383,015), ADP and telecommunications services ($16,315,121), and aircraft maintenance/repair ($15,457,558). The Department of Defense’s inspector general (IG) blasted the Defense Logistics Agency (DLA) in 2011 for what it called a “bad” contract with Supreme Foodservice AG. Beginning in 2005, the DLA paid billions of dollars to Supreme to deliver food and other supplies to troops in Afghanistan. The IG found that over time, the DLA had overpaid by more than $750 million for the transport of the supplies, and demanded the agency recover this money from the contractor. As a result of the IG audit, it was pointed that the former head of the DLA, Robert Dail, a retired Army general who ran the agency from August 2006 to November 2008, was now working for Supreme as head of its Washington-based operations. In 2012, DLA decided to hire another company to provide food to the war effort in Afghanistan. But it also agreed to pay Supreme another $1.5 billion so it could continue handling these duties while the new contractor, Anham FZCO, got its operations set up to eventually take over. Despite causing the worst oil spill in U.S. history and eventually pleading guilty to 14 felony counts and agreeing to a $4.5 billion settlement, British Petroleum (BP) continued to do a lucrative business with the military through contracts with the DLA. If anything, BP’s business only grew after its offshore oil rig, the Deepwater Horizon, exploded in the Gulf of Mexico in March 2010 and gushed black crude for months on end. Sales of BP fuel to the Department of Defense increased 33%, from $1.02 billion in 2010 to $1.35 billion in 2011. One example cited by critics of BP involved a DLA contract to Air BP, a division of BP Products North America, worth $42 million. The deal, providing fuel to Dover Air Force Base, was categorized as “unusual and compelling” and part of a larger contract that was already in place. The DLA announced in early 2010 that it planned to award a sole source contract to a Kuwaiti company for logistics services throughout the U.S. military’s Central Command area, which included Iraq, Afghanistan, Kuwait, and other countries. But congressional pressure forced the DLA to pull back its offer and open the bidding up to other companies. Lawmakers became upset when they learned KGL Holding was accused of human trafficking (its own truck drivers complained of being forced to make deliveries to U.S. troops in Iraq), and that it had behaved badly toward the family of Army officer Lt. Col. Dominic “Rocky” Baragona Jr. who was killed in 2003 in an accident caused by a KGL truck in Iraq. The family of Baragona sued unsuccessfully in U.S. courts to make KGL responsible for the death. Although U.S. District Judge William Duffey Jr. dismissed the case over jurisdictional issues, he also criticized the company for acting callously toward the family by besmirching Baragona’s honor and insinuating that he’d caused the accident, and using legal delays so the case slogged through the courts for nearly four years. The DLA lost its top commander in 2010 after an investigation found he had behaved inappropriately toward subordinates and others. Air Force Brigadier General Scott Chambers was removed as head of the DLA and sent back to the Air Force after his superiors were presented with the findings of an inspector general (IG) report. It was learned that Chambers had made subordinates uncomfortable, inappropriately touched female subordinates, and made off-colored remarks in private and public meetings. The IG uncovered 12 incidents of concern. In one instance, Chambers made sexual and gender-related remarks during two town hall meetings where he made offensive sexual and gender references in comparing the challenges of leading the DLA to raising a family. DLA Dumped Hazardous Waste In Iraq, Rather than Shipping It to the U.S.
During the course of the Iraq war, the United States was supposed to dispose of any hazardous waste it produced by sending it back home. But this didn’t always happen, and the DLA got into trouble for it. In 2010 the British newspaper The Times reported that hazardous waste from American bases was being dumped in five Iraqi provinces. These actions ran contrary to U.S. military policy requiring the waste to be packed up and shipped to the states. The DLA could have taken steps to ensure the waste was recycled at facilities in northern and western Iraq, but that didn’t happen either. The DLA decided not to bring the hammer down on a defense contractor accused of overcharging the agency during the Iraq war. The company, Agility, supplied food and other products to U.S. troops in Kuwait and Iraq from 2003 to 2010, per a series of contracts awarded by the DLA. In November 2009, a grand jury indicted Agility for overcharging the agency. The case has continued to drag on, with company lawyers insisting that all of its prices were approved by the agency. Although both sides have discussed reaching an out of court settlement, Agility has continued to finish up its work under previous contracts and extensions. It has, however, been prevented from pursuing new deals with federal offices because the DLA suspended the company from bidding on future contracts until a settlement is reached or until there’s a decision in a trial. The DLA was scrutinized in 2010 for awarding $1.4 billion in no-bid contracts to two foreign companies that supplied fuel to the Transit Center at Manas, Kyrgyzstan, which supports U.S. forces fighting in Afghanistan. Critics of the contracts said the companies were connected to the families of former Kyrgyzstan leader Kurmanbek Bakiyev and his son Maksim Bakiyev who were accused of corruption. The Defense Logistics Agency (DLA) was caught up in a storm of media attention after a military publication reported steep increases in prescription drug use and suicides among defense personnel. Using data gathered by the DLA, reporters from the Navy Times found that one-sixth of service members were taking at least one psychiatric drug, and many were actually consuming “drug cocktail” combinations that could interfere with their abilities in the field and even make them more prone to suicide. In fact, the report said, suicides in the U.S. Army increased from nine per 100,000 soldiers in 2001 to 23 per 100,000 in 2009. Similarly, the Marine Corps’ suicide rate jumped from 16.7 to 24 per 100,000. During this same time period, the DLA spent $1.1 billion on psychiatric and pain medications. Antipsychotic drug orders soared by more than 200%, anti-anxiety drugs and sleeping pills by 170%, antiepileptic drugs (also known as anticonvulsants) by 70%, and antidepressants by 40%. The Department of Defense’s inspector general (IG) blasted the DLA in 2011, giving the agency a failing grade, for not properly performing audits. The DLA’s accountability office was found to have investigators who lacked sufficient auditing experience and who didn’t follow generally accepted government auditing standards. In 2008, the DLA was faulted for overspending on contracts by $93 million in 2006, according to another IG investigation. Again, the agency was cited for not following proper procedures designed to keep track of expenditures and report overpayments while its 27,000 employees oversee the movement of some 5 million goods. The DLA’s Reef Exercise program began in 1994 and created great controversy surrounding the ethics of the program. The Reef Exercise program was based on the DLA constructing “artificial reefs” out of the U.S. surplus of military equipment. These vehicles now extend along the Atlantic and Gulf of Mexico coasts from New York through Louisiana. The DLA is responsible for the disposal of equipment, such as battle tanks, armored personnel carriers, ships, etc. One benefit to this disposal, according to the DLA, is that “reefs provide additional or more reliable fishing areas and diving sites for humans.” There had been controversy as to whether these artificial reefs actually created benefits for fish and other sea life. The agency now claims that there is no longer any problem with equipment reefs. To better serve the branches of the military as well as defense contractors, the Defense Logistics Agency (DLA) changed its support services to make them more customer oriented. Using what it called the Parts Management Program (PMP), the DLA promoted the use of standard parts in the design of weapon systems, subsystems, and equipment. It also sought to factor in engineering, standardization, acquisition, and other logistic support costs. The program was supposed to provide a systematic review of proposed or currently used parts lists by the Defense Department. It also was intended to give contractors the information they needed to adapt to an ever-changing market. The DLA said the PMP would lower the cost of ownership of weapons systems, including acquisition expenses, lead time, risks, and parts proliferation. Another effort to save money on spare parts involved a 12-year contract between the DLA and Honeywell International, Inc. for a “one-pass pricing” system. But after eight years, the DLA began to doubt whether the company was really saving the agency money because the system didn’t include a re-examination of prices, which could have saved the DLA millions over the period of the contract. Some officials within the Department of Defense have wanted to resolve inefficiencies affecting the military’s supply chain by merging the DLA with the U.S. Transportation Command (TransCom). But DLA leadership has balked at the idea, saying a merger wouldn’t be the answer. Combining the two operations could result in an unmanageable behemoth with nearly 175,000 workers that would create more problems than it would resolve, according to the DLA. TransCom has been in favor of the idea, perhaps because a merger would more likely result in TransCom absorbing the DLA. TransCom is higher up in the pecking order within the Pentagon, reporting directly to the secretary of defense. In contrast, the DLA reports to a lower command level, the deputy undersecretary of defense for logistics and materiel readiness. Vice Admiral Alan S. Thompson, a 30-year careerist who has quietly held numerous commands involving supplies for the U.S. Navy, assumed the role of director of the Defense Logistics Agency on November 19, 2008. During his term as director he was in charge of procuring and distributing to the Army, Navy, Air Force, and Marine Corps a wide variety of products and services, including food, clothing, medical supplies, construction material, spare parts, and fuel. Thompson, who traces his family’s military roots to the Civil War era in Pennsylvania, graduated with a Bachelor of Arts in economics from UCLA, where he received his commission through the Naval ROTC program in 1976. He later earned a Master of Business Administration from the University of Florida and completed the Columbia University Graduate School of Business Senior Executive Program. Thompson’s ship assignments have included assistant supply officer aboard the destroyer USS David R. Ray (DD 971), and supply officer for the missile destroyer USS Chandler (DDG 996) and the aircraft carrier USS Dwight D. Eisenhower (CVN 69). Ashore, he has served at the Naval Supply Systems Command, formerly located at the Naval Aviation Supply Office in Philadelphia; as commander of the Naval Air Force for the U.S. Pacific Fleet at the Naval Air Station in Miramar, California; and in the Office of the Chief of Naval Operations (CNO). In July 1998, Thompson was appointed the commanding officer of the Fleet and Industrial Supply Center Norfolk, the Navy’s largest supply center. Later, he was made chief of the Naval Operations Strategic Studies Group and a CNO Fellow at the Naval War College. In February 2001, he was promoted from captain to rear admiral. That same year he was assigned as commander of the Defense Supply Center in Columbus, Ohio, for the Defense Logistics Agency (DLA), serving until 2003. He was then Director of the Supply, Ordnance, and Logistics Operations Division (N41) in the Office of the CNO, and later commander of the Naval Supply Systems Command and Chief of Supply Corps, in Mechanicsburg, Pennsylvania, from March 2007 until taking over the DLA. Thompson was promoted to vice admiral and President George W. Bush appointed him director of the DLA in November 2008. In charge of 23,000 civilian and military personnel, Thompson was responsible for providing the Army, Navy, Air Force, Marine Corps, and other federal agencies with a variety of logistics, acquisition and technical services. These services included logistics information, materiel management, procurement, warehousing and distribution of spare parts, food, clothing, medical supplies and fuel, reutilization of surplus military materiel, and document automation and production. What Building Guide Specification does FEMA use to determine the plumbing and mechanical products that can be used for building construction and maintenance? Dear Sirs or Mam, I recently heard on the news,that the federal government is wanting the public to test MREs, meals ready to eat,that are issued by the federal gov.,for product improvement,if this is true? please contact me at wleavins@gmail.com thank you,for your time. Lieutenant General Darrell K. Williams, who has worked in Army logistics for his entire career, was named on May 1, 2017, to head the Defense Logistics Agency (DLA), which provides nearly every consumable item for the U.S. armed forces and some civilian agencies. No sooner had Williams taken charge than he was presented with a damaging report by the Government Accountability Office (GAO). The GAO set up a sting operation that targeted DLA’s Law Enforcement Support Office, which transfers excess property to federal, state, and local law enforcement agencies. GAO created a fake agency and quoted a fake law to justify its legitimacy. It early 2017, it was able to obtain night-vision goggles, thermal imaging equipment, specialized printers, explosive ordnance detonation robots, High Mobility Multipurpose Wheeled Vehicles, Mine-Resistant Ambush Protected Vehicles and aircraft, not to mention medical supplies, office furniture and tents. Williams was born in West Palm Beach, Florida, one of eight children. He graduated from Twin Lakes High School (now Palm Beach Lakes High School), where he participated in marching band, ran track and cross-country, played basketball and was in the chess club. With an Army ROTC scholarship in hand, Williams went to Virginia’s Hampton Institute (now University), a historically black college. He graduated in 1983 with a B.A. in psychology and a commission as an Army second lieutenant. Since then, Williams has earned master’s degrees in military arts and sciences (from the School of Advanced Studies); national security and strategic strategy (from National War College); and business management—logistics (from Penn State). After graduation, Williams began working his way up the chain of command. He served as deputy director of strategic communications, in the office of the Army chief of staff; chief and commander of the 3rd Forward Support Battalion, 3rd Infantry Division (mechanized) at Fort Stewart, Georgia, and Operation Joint Guardian, Kosovo. He first commanded troops as a captain in the 1st Corps Support Command. Williams served as brigade commander of the 3rd Sustainment Brigade in Fort Stewart, Georgia (2006-2008), during which he was deployed in northern Iraq, and executive officer to the Army deputy chief of staff; and director of logistics, engineering and security assistance for the U.S. Pacific Command at Camp H. M. Smith, Hawaii. He was promoted from colonel to brigadier general in August 2009, and then assumed command of the DLA Land and Maritime unit based in Columbus, Ohio, the following month. In January 2012, Williams moved up to major general and became deputy chief of staff for the Army Materiel Command at Redstone Arsenal, Alabama. In October 2013, he took charge as commanding general of the 1st Sustainment Command at Fort Bragg, North Carolina with responsibility for Camp Arifjan in Kuwait. He took command of the 1st Theater Sustainment Command on January 31, 2014, and three days later flew to Afghanistan to visit the unit’s forward headquarters, one of nine countries in his jurisdiction. In August 2015, Williams took over as commanding general of the Combined Arms Support Command at Fort Lee, Virginia. He was promoted to lieutenant general in March 2017. Williams and his wife, Myra, have a son and daughter, both adults. Lt. Gen. Andrew Busch, who served in logistics management positions for much of his career in the Air Force, was named in December 2014 to lead the Defense Logistics Agency (DLA). Busch grew up in different places around the world, including five years in Saudi Arabia, while his father worked for airlines. Busch was recruited to the Air Force Academy to play basketball—at 6-foot-10, he was the Falcons’ center—and graduated from there with a B.S. degree in 1979. He later earned an M.S. in logistics management from the Air Force Institute of Technology in 1990 and an M.S. in national resource strategy in 1995 at the Industrial College of the Armed Forces. Busch started his career as an aircraft maintenance officer, took a few years off beginning in 1983 to teach ROTC at Michigan Tech, then returned to aircraft maintenance management. After earning his second master’s degree in 1995, Busch moved into logistics. His next assignments were at the Defense Logistics Agency; Ogden Air Logistics Center at Hill AFB, Utah; and at the Propulsion Management Center at Tinker AFB, Oklahoma. In 2002, Busch was named Deputy Director for Logistics Operations in the Directorate of Logistics and Sustainment at Wright-Patterson AFB in Ohio. Three years later, Busch was made Commander of the 402nd Maintenance Wing at Robins AFB in Georgia and in 2007 was named Commander of the Defense Supply Center in Richmond, Virginia. Busch returned to the Ogden Air Logistics Center as its commander in 2009 and was back at Wright-Patterson in 2012 as vice commander of the Air Force Materiel Command. He held that post until being made chief of DLA. Busch and his wife Tomi have two daughters. Both followed in their father’s footsteps— into the family business as well as collegiate sports. Daughter Jillian played basketball at West Point, and daughter Alyson did so at the Air Force Academy.